Showcase youth using VEX to explore STEM. Compose a photograph that features one or more students working on a robot, testing, planning or celebrating your VEX team’s accomplishments. Use photography to tell the judges something about your own story of involvement on a competition team, in a classroom, or as a hobbyist working with VEX. Prize(s): Each of the top 10 entrants chosen by the judges will receive a $50 VEXrobotics.com gift certificate. VEX competition team requirement: No team requirement. This is an individual competition, not team or school; and only one photo may be submitted per person. Showcase youth using VEX to explore STEM. Compose a photograph that features one or more students working on a robot, testing, planning or celebrating your VEX team’s accomplishments. Use photography to tell the judges something about your own story of involvement on a competition team, in a classroom, or as a hobbyist working with VEX. Think about how your experience in the VEX program has had an impact on your life, school or community. A digital photograph in JPEG (jpg) format, up to 20MB in size. The photograph needs to be at least 1000 pixels wide in the case of a horizontally-oriented image, or 1000 pixels high for a vertical image. Submissions that are too large or not in JPEG format will not be considered. You must also include a short statement in English of up to 50 words describing what we see in the photo. Describe why you selected this photo: include the who, what, when and where, the reason you chose this photo, and what idea or concept it conveys relating to STEM exploration. You also need to label your photo submission with a title, not just a file name or number. Your description should support why you chose this title for your photo. Upload your photograph directly to this online challenge site during the submission process (20MB maximum file size). 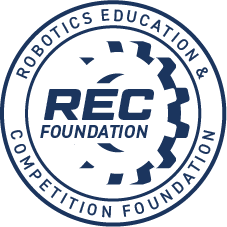 The winning submissions will be chosen by the staff of VEX Robotics and the REC Foundation, along with additional design professionals, using the judging criteria. The top ten photographs will be recognized online and will receive the prizes listed above. Does the picture show something that emphasizes youth involvement with STEM and robotics? Does the description (50 words maximum) clarify the idea or concept depicted in the photo? Does it describe the reason this photo was selected for this challenge, and does it add to the story the photo itself is telling? Is the description clear and well written, with proper grammar and sentence structure?